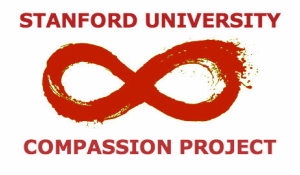 Please sign the Stanford Charter for Compassion to reaffirm Stanford's commitment to a more compassionate learning and living environment. Stanford students embrace after a wellness workshop in the Arrillaga Wellness Room (October 2012). We therefore call upon all Stanford students, faculty and staff to restore compassion to the centre of morality and religion ~ to return to the ancient principle that any interpretation of scripture that breeds violence, hatred or disdain is illegitimate ~ to ensure that youth are given accurate and respectful information about other traditions, religions and cultures ~ to encourage a positive appreciation of cultural and religious diversity ~ to cultivate an informed empathy with the suffering of all human beings—even those regarded as enemies. We urgently need to make compassion a clear, luminous and dynamic force in our polarized campus and world. Rooted in a principled determination to transcend selfishness, compassion can break down political, dogmatic, ideological and religious boundaries. Born of our deep interdependence, compassion is essential to human relationships and to a fulfilled humanity. It is the path to enlightenment, and indispensable to the creation of a just economy and a peaceful global community.